Prompted by the disparity in the tax treatment between traditional retail activities and e-commerce, on December 31, 2018, Indonesia’s Minister of Finance (“MOF”) issued MOF Regulation No. 210/PMK.010/2018 regarding the Tax Treatment of E-Commerce (“MOF Regulation 210”). MOF Regulation 210 purports to provide further clarity with regard to Value Added Tax (“VAT”), luxury goods tax, and income tax for transactions conducted within the Customs Area, as defined below, as well as import duty and import tax for imported goods, all within the context of e-commerce. Note that MOF Regulation 210 does not create new taxes or tax rates for e-commerce business players. Platform is defined as an application, website, or other internet-based content service used to transact or facilitate trade through an electronic system (e-commerce). Marketplace is defined as an electronic communication facility used for the purpose of conducting business transactions electronically. Marketplace Platform Provider is defined as a party, whether an individual, entity, or Permanent Establishment, residing in or domiciled or having business activities within the Customs Area, which provides a platform in the form of a Marketplace, including over-the-top platforms in the field of transportation, within the Customs Area. Merchant is defined as an individual, entity, or Permanent Establishment residing in or domiciled or having business activities in the Customs Area, which conducts transactions with buyers using Platform facilities provided by a Marketplace Platform Provider. Service Provider is defined as an individual, entity, or Permanent Establishment residing in or domiciled or having business activities in the Customs Area, which conducts transactions with service receivers using the Platform facilities provided by a Marketplace Platform Provider. E-Commerce Transaction Value or Transaction Value is defined as the value of the payment transaction conducted by the buyer, exclusive of delivery costs, service fees, and VAT or VAT and luxury goods tax. Customs Area is defined as the area of the Republic of Indonesia encompassing land, water, and the space above it, as well as certain areas in the Exclusive Economic Zones and the continental shelf within which the laws on customs are applicable. Under MOF Regulation 210, there are two ways to conduct e-commerce transactions: through a Marketplace Platform or through a non-Marketplace Platform taking the form of online retail, classified ads, daily deals, or social media. MOF Regulation 210 clarifies the taxation obligations for parties in e-commerce transactions. For example, a Marketplace Platform Provider must have a Taxpayer Identification Number (“NPWP”) and a Confirmation as a Taxable Entrepreneur (“PKP”), the latter of which applies even if the Marketplace Platform Provider qualifies as a small business under the relevant MOF regulation. Merchants and Service Providers are required to provide their NPWP to the Marketplace Platform Provider. If a Merchant or Service Provider has not obtained an NPWP, they may provide their personal Identification Number to the Marketplace Platform Provider. MOF Regulation 210 further affirms that Merchants and Service Providers are obligated to fulfill their tax obligations in line with the regulations on income tax. Merchants or Service Providers that have been confirmed as a PKP, and who transfer their taxable goods or taxable services electronically through a Marketplace Platform Provider, must collect, deposit, and report all outstanding VAT and luxury goods tax. They are further obliged to issue tax invoices as evidence of collection of VAT. The Marketplace Platform Provider must then report the recapitulation of trading transactions conducted by the Merchants or Service Providers through the Marketplace Platform Provider to the Directorate General of Tax. delivery of taxable goods or taxable services in a manner other than the two methods above. those having a customs value up to Free on Board (“FOB”) USD1,500. Goods imported through Marketplace Platform Providers having a customs value of more than FOB USD1,500 or those not using the Delivery Duty Paid (“DDP”) scheme are subject to those provisions contained in the relevant regulations regarding the import of delivered goods. A Marketplace Platform Provider involved in the import of goods must register with the relevant Customs Head Office. After its registration receives the necessary approval (the “Approval”), the Marketplace Platform Provider will be required to fulfill additional obligations under MOF Regulation 210, such as for every delivery providing the Directorate General of Customs and Excise e-invoices and e-catalogues containing, among other things, a description of the goods and their corresponding codes, the price of the goods, the identity of the seller, and the country of origin of the goods. Additionally, a registered Marketplace Platform Provider must use the DDP scheme and calculate import duty and/or import tax, followed by the subsequent deposit of such import duty and/or import tax. Failure to do this may result in the freezing of the Marketplace Platform Provider’s Approval. is declared bankrupt by the Commercial Court. It does not appear that MOF Regulation 210 has been received with any enthusiasm. 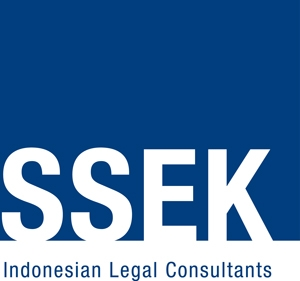 The Indonesian E-Commerce Association has expressed concern that the regulation may hamper the development of micro-, small-, and medium-sized businesses and cooperations (“UMKM”). Given that many UMKM are still struggling to establish their business models, MOF Regulation 210 may prove to be more of an obstacle than the tool to ease the fulfilment of tax obligations it was intended to be. The concern that MOF Regulation 210 may be a burden has been echoed in media reports by the chairman of the Indonesian Express Delivery Services Association (Asperindo) and the president director of delivery service company JNE. MOF Regulation 210 takes effect April 1, 2019.